Save the main melody riff, IATM is boring to the fault. I am usually partial to any GH songs on the Beatles albums, but I agree, this is one of his lesser efforts. Yep. This, LLL, INY, DBM, S & ILYTM would be the few songs written by George I dislike. But he's right next to Paul in terms of songwriting. My song of the moment--and what a song it is too! I am with you. I think IATM is GLORIOUS. Edit: Just read..."following the arrival of Jackson’s new film, a restored version of Lindsay-Hogg’s Let It Be will also be released." Yes, I also heard this news on the radio this morning, and they compared Peter Jackson's involvement with the live project Ron Howard did a few years ago in terms of two of the most successful directors getting involved with unearthing and presenting "new" archival Beatles material for wide release. It should be interesting. The only issue in my mind is I sincerely hope they don't try to "sweeten" or fix anything, or do all out changes to the mixes as they did the Let It Be...Naked project. I don't mind that project for what it is, but the textures of some of the songs that I'd known for years changed, and it felt like some were sterilized even beyond taking Spector out of the mix. It was a curious listen, still is, but it never replaced the originals or even some of the bootlegs. So I hope they don't go overboard with the editing (video and audio), and especially with the post-production. It bugs me when something like this is done with the goal of appealing to modern, young listeners and owners of Beats headphones rather than keeping the music true to what it was in 1969 in this case. What's interesting is some of us have heard a lot (too much?) of these Get Back sessions, and honestly a lot of it sounds pretty dreary, which would fit recording in a huge airplane hangar in the dead of Winter, then moving to a studio that was unfinished thanks to unfilled promises and unfinished work by "Magic Alex" Mardas...I'm curious to see how Jackson and his editing team will deliver these uplifting moments he speaks of in the press release. Pretty excited to see and hear this in release-worthy quality versus the bootlegs. Sounds like what they did with Elvis' "That's the way it is" and the special edition. That is, taking unreleased footage and creating more or less a new movie that is loosely based on the original and also uses parts of the original. Or will the "new" Beatles movie be made up exclusively of unreleased stuff? What is ironic and will play out as 2020 approaches is how there has been no official way to buy or see the original film since the 1980's. Even in 2008 when they almost had a rerelease, Paul and Ringo scuppered that plan. We know the project was Paul's baby from the beginning. We know bringing in Spector caused major problems. We know Paul tried to reshape it via the naked project, with mixed results. In that fall 2018 interview it sounds like Paul might want to make a "nice" version of Let It Be. Veering close, maybe, to reshaping history through editing? If I remember both John and George wanted to show how tense and bad things were...wonder if this will be Paul's chance to do it his way after the original print has fallen out of the public eye? Don't forget that the original as is version of the film will also be released, so hopefully any kind of "sanitized version" won't detract from how the original is. I just hope with everything I have that any black and white video used won't be artificially colorized. That is the main reason I still haven't bought a dvd of "Eight Days A Week". Let's hope that this new version isn't edited as horribly as the original, either! Peter Jackson did such a great job with the "They Shall Not Grow Old" documentary about WWI, I am quite excited about this. 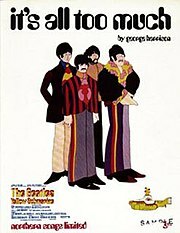 Or will the "new" Beatles movie be made up exclusively of unreleased stuff? The funny thing is that in McCartney's interview from the fall, he doesn't say definitively that the original cut of the film as released to theaters will be re-released...yet the hints are along the lines of the original release was a "downer" so a new edit will be a more fun and happy version? I'm lazy, so is there word alongside the news of Peter Jackson's work on the project that says the original version of Let It Be will be re-released? Or is it just that Jackson will be recutting a new version from the nearly 60 hours of existing footage? Whatever the case, I'm confused about just what is coming out...and I hope they do re-release the original edit so people can see it. Wasn't it John or George or both of them who later said fans should see Let It Be so they could get an idea of how dreary and bad the scene really was by 1969 rather than trying to sugarcoat it? They are definitely restoring and re-releasing the original film. That is why I'm so excited about this! No reservations. We get the best (hopefully) of both worlds. The only worry is that years down the road the new film could be prioritized and, therefore, outlast the original, but that is a risk worth taking. As you said, the original film has already been kept under wraps for nearly 40 years (last release was on VHS in '81) and it's not like it's a secret what's on it. People have still found a way to watch it and have read about it. So, the fact that it'll finally be released (presumably) on DVD and Blu-ray is huge. IMO that gives them the freedom to create a happier version (if that truly is what transpires), that won't necessarily be dishonest or sugarcoating. It's just another look, another perspective. The source material is the same. I think it's fair to suspect that the original film may not have been the most accurate representation of the overall mood. Regardless, we'll have both films to enjoy, analyze, and decide for ourselves. I can't wait!!! "Yesterday, everyone knew The Beatles. Today, only Jack remembers their songs. He’s about to become a very big deal. From Academy Award®-winning director Danny Boyle (Slumdog Millionaire, Trainspotting, 28 Days Later) and Richard Curtis, the Oscar-nominated screenwriter of Four Weddings and a Funeral, Love Actually and Notting Hill, comes a rock-n-roll comedy about music, dreams, friendship, and the long and winding road that leads to the love of your life." It's an interesting concept - and I'm immediately more interested than I was in the Across The Universe travesty. That said, with Richard Curtis as the writer, I don't have high hopes. He's ... fine but also remarkably shmaltzy and very middle-of-the-road. I know he's a big Beatles fan but he's also become a so-so screenwriter. As a massive Beatles fan myself, I will see it, but I don't think it'll end up being a huge favourite. Powered by SMF 1.1.21 | SMF © 2015, Simple Machines Page created in 0.234 seconds with 21 queries.